REPORT on "Milan and Gracias- 2013"
Milan and Gracias- 2013" was a grand success. Altogether nearly 500 children from 8 different tribal,slum and rural regional and state project areas participated in 11 various cultural and sports competitions. Every child participated in least two events with deep passion and conviction to not only win but to demonstrate their true spirit of sportsmanship, It was a great platform for children to meet and compete with each other from diverse regional background (from three different states of India). Mr. Vijay Lancy a renowned Indian badminton player presided over the programme as the chief guest. In the end Hoskote-Chethana Rural Project- won the overall championship, who lifted and retained 'Milan' rolling shield for third consecutive time. The students felt happy to see all the performances by their sponsored children in Gracias and were inspired by the chief guests speech from Mr. Girisha Gowda, Silver Medalist for India in 2012 Paraolympics in London and recipient of Padmashri Award. It was all possible because of student volunteers of CSA (Main Campus, Kengeri, and PU College) and Srujana (MA English Dept), who restlessly designed, planned and executed the entire event, nearly 140 student volunteers and 20 Volunteers from a Corporate Social Responsibility Group from Hewlett Packard took active role in organizing and making the event successful. On the day of Gracias, students managed to put up 10 different stalls to showcase and demonstrate the significance of all the community development projects and programmes of CSA. Student Volunteers took lead in setting up the stalls with eye catching information materials to give effective presentations on the respective project and its areas and programmes of CSA to the visitors of each stall. All the stalls were graded by 3 faculty representatives of CSA and later MHCDP Maharastara won the best stall award, which depicted relevant information interms of creativity, content and presentation they were followed by two runner ups i.e Janakiram Layout Project and Kolar Project. The event that has given the opportunity to the teacher trainees to display and demonstrate their teaching aids and teaching models was conducted on 10th January, 2014. The event was inaugurated by Prof. Mallika Krishnaswami, Dean of Humanities and Social Sciences, Christ University. The Dean addressed the student teachers with an inspiring talk. Ma’m spoke about the way the School of Education showcases their creativity, talent which is inspiring year after year. Every year, teaching becomes more challenging with the students becoming more restless and energetic. So, it is quite a bit challenging for the teaching fraternity to grab their attention. With technology growing exponentially and information being easily accessible for the students, dependency on class room teaching is reducing. But the emotional connection between teachers and students cannot be replaced with technology. With teachers being committed and professional to what they do, overall development takes place. Boosted by the inspiring address, the display of teaching aids and models started in the exhibition hall in Central Block. Six methodologies have showcased their talent and creativity with wide spread models which were away from traditional method of teaching. For learning to take place in cognitive, affective and psychomotor domains, specific models were displayed in the methodologies of Mathematics, Physics, Biology, Chemistry, English and Social Science. 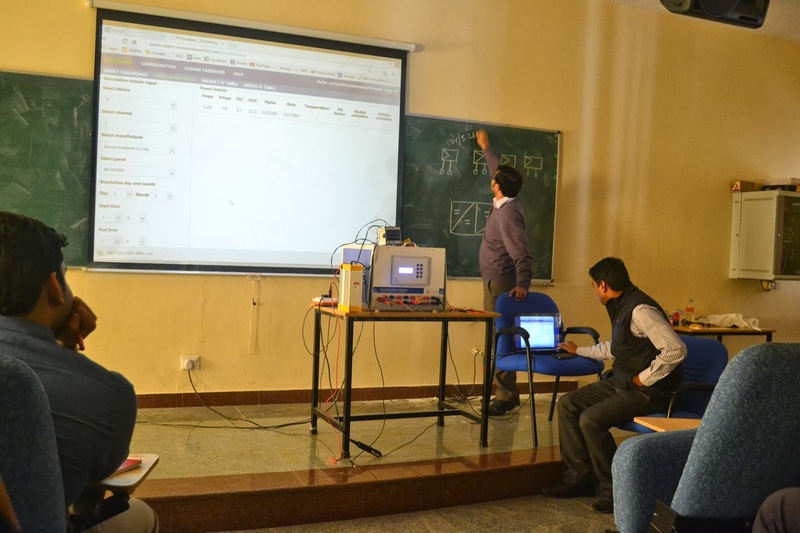 Mathematics methodology team has displayed interesting and exciting models ranging from vedic mathematics to multiply three digit numbers on finger tips to linear equations. From Geo-board to proving sum of angles of triangles, visually appealing colorful solid shapes, Pascal’s triangle, volume of prism by using building blocks, detachable solid shapes, Pythagoras theorem were displayed and demonstrated. Physics methodology team has displayed working models of bristle bot, tri bot, beetle bug, solar cooker, pinhole camera, 4-stroke engine, demonstration of Pascal’s law, electro-magnetic induction, total internal reflection, thermos flask, multiple reflection, kaleidoscope, solar system were displayed and demonstrated. Biology methodology team has displayed scintillating models of human circulatory system and digestive system along with animal cell, clay models of amoeba, hydra. Three dimensional models of human heart, cross section model of skin, working model of kidney functioning were displayed. Chemistry methodology team has displayed working models of electrolysis, salt water conducting electricity, chromatography, water cycle, air pressure, structure of atom, ionic bonding, covalent bonding, allotropy, vinegar and baking soda forming carbon-dioxide we displayed. Social science methodology team has displayed three dimensional models of Tajmahal, Kutubminar, core of earth and working models of solar system, volcano, solar eclipse, lunar eclipse, frost action were displayed. Time line of Akbar, world map on lamp shade, flip chart on famous people belonging to literature, great scientists, poets were displayed. The feedback was positive, encouraging, supportive and rewarding. The event winded up at 4:30 P.M. after it was graced by our Vice-chancellor, Registrar, Father T.V.Thomas, faculty from other departments, and students from various disciplines. To put it in a nutshell, the display was wide spread, vibrant, colorful and informative and they were made out of inexpensive items which the teachers can make and use in their future teaching careers. 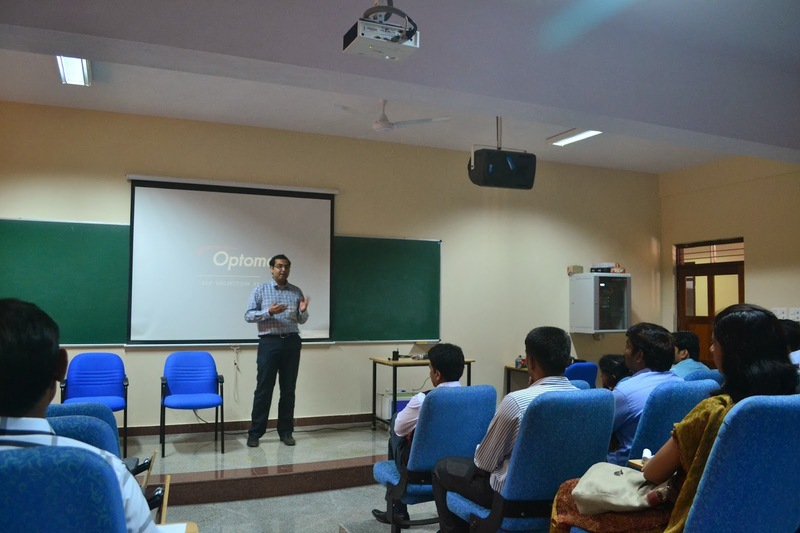 The Department of Electrical & Electronics Engineering, Christ University Faculty of Engineering in collaboration with Ecosense Sustainable Solutions, organized a two days workshop on Renewable Energy Systems on 4thand 5th of January 2014 at Christ University, Kengeri Campus with an aim to focus on the role and design of renewable energy systems in the present global electricity sector. The workshop commenced with an introductory speech by Dr. Iven Jose, Associate Dean, CUFE, focusing on the present trend of energy supply using renewable energy systems.